RatePoint, the leading provider of customer feedback, is a third party company that allows our customers to rate the service we provide here at Miracle Method. 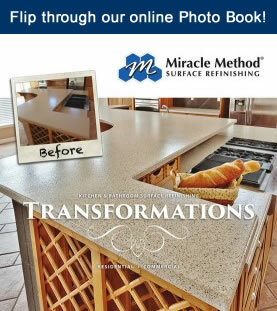 At Miracle Method we value our customers and want to know what they think of our service. RatePoint offers an easy-to-use format that encourages participants to leave comments so that others can see how others have rated the company’s customer satisfaction. 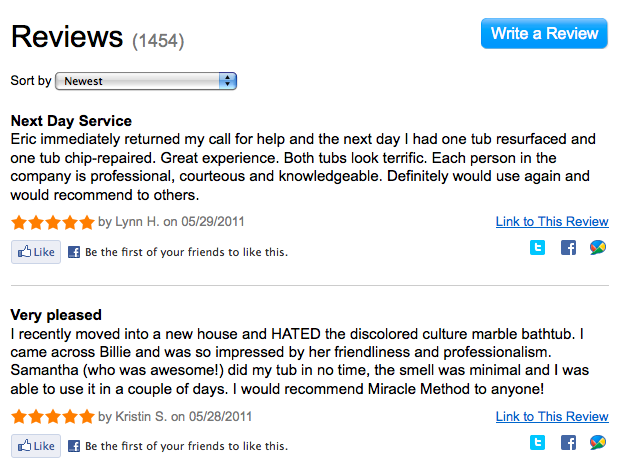 As of today, Miracle Method has received 1,445 reviews. Out of that total, 1,345 reviews were rated at 5 stars out of 5 stars! Referrals are an important part of our business and we rely heavily on word of mouth. Visit our account on RatePoint and read some of our client’s feedback and testimonials. We’d love to hear about your Miracle Method experience. To leave your own comment on our RatePoint account click here.